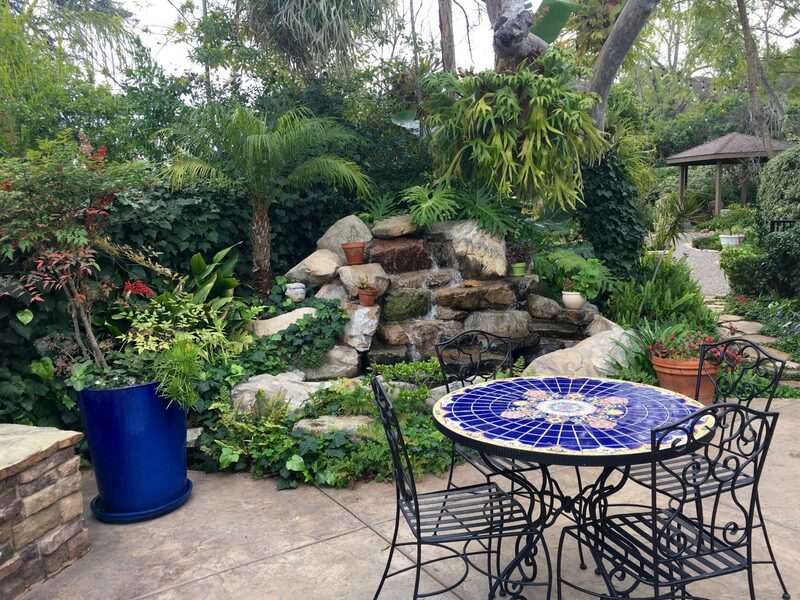 This is GMIA’s premier Art & Garden Tour member event. The tour is free to members whose dues are paid current. While it is not our intention to open our event to the general public, we will accommodate non-member guests for a $15 donation per person (paid when you enter). We’ve been able to add three difficult-to-access hideaway gardens by providing ample parking in the nearby Fire Station lot, combined with a shuttle service linking all three gardens. This route is also walkable for those who enjoy the short journey between each garden. The Tour map will arrive in the Spring 2019 issue of our member newsletter, Viewpoints. We hope you will join us for our most popular event that exemplifies the essence of our beautiful community: Lush mature gardens, quiet streets, generous neighbors. Spend an enjoyable afternoon gathering design ideas, learning what flourishes in our region, and discovering delightful landscapes in six private homes in our community. We are featuring more local artists who will display and offer their creations for sale. Enjoy the sounds of musicians playing guitar, flute, and saxophone as you stroll through the gardens. This is a family-friendly event and we love to have well-behaved children attend. However, please be aware that participating gardens cannot accommodate strollers. No pets, please.